I’m taking some time off the next few weeks to spend with my family and our new bundle of joy. In the meantime, I’ve set up a few posts ahead of time to share. These cookies are one sweet treat I plan on baking again and again. Hand me a cookie baked with lentils and you’re my new BFF. And here is where I’m guessing you think I’ve lost my marbles. I know this because I, too, once thought a lentil cookie was kind of a crazy thing when I first discovered it in Nick Evans’ new cookbook, “Love Your Leftovers” (he’s the brilliant blogger behind Macheesmo, by the by). I mean, there are plenty of other yummy sounding recipes in the book — like creamy chicken pesto pasta, or spicy beef wontons, or crunchy black bean tacos. But no, no — I went straight for the lentil cookies because I just had. to. know. And boy oh boyyyyy are my taste buds glad I did. In case you’re not familiar with Nick’s new book, let me fill you in — it’s awesome. He takes one ingredient or dish — say, lentils — and then shares several recipes you can make from a big batch of leftovers of said dish. So the plan is that you make a whole bunch o’ lentils on Sunday night, then make lentil wraps one day, seared salmon with caper lentils another day, Indian dal another day and lentil cookies for all the days (because they are that good). It’s a genius plan, especially for food waste-haters like yours truly (which is why I’ve been known to eat things like chips, guacamole and baked beans for dinner just to get them out of the fridge). So about these cookies: They taste nothing like lentils, so we can get that obvious question out of the way. But the lentils do give them a super-soft texture that makes them extra tasty. Add in some shredded coconut, dried fruit, almond extract and old-fashioned oats and the tastiness is amplified even more. Case in point: I ate a few of these and then sent off the rest with my husband to take to work and they were all gone by the next morning. His co-workers even knew there were lentils lurking in there! Didn’t matter. They were too good to resist. Even my husband raved about them and he’s not much of a cookie eater (I know. I don’t get it, either). In conclusion: Make some lentils. Make some cookies with said lentils. Devour cookies. Love your leftovers. The end. Combine cooked lentils and water in a small saucepan. Bring to a simmer over medium heat. Cook 10 to 15 minutes or so, mashing mixture with a fork until a paste forms. Set aside to cool. In a large bowl, whisk together flours, cinnamon, nutmeg, baking powder and salt. In a separate large bowl or bowl of a stand mixer fitted with the paddle attachment, cream butter and sugars on medium speed 2 minutes until light and fluffy. Stir in egg, then almond extract and cooled lentil mash until well combined. Add flour mixture to butter mixture; stir just until a dough forms. Carefully stir in oats, raisins and coconut. Scoop heaping tablespoons of dough about 1 inch apart on prepared baking sheets. Bake 16 to 18 minutes, rotating pans halfway through baking, until edges of cookies are golden brown. Cool a few minutes before eating. *To cook lentils: Rinse 1/2 cup uncooked lentils in a colander or strainer. Combine with 1 cup water in a small saucepan. Bring to a rapid simmer over medium-high heat, then reduce to barely a simmer (just a few bubbles) and cook 20 to 30 minutes until lentils are soft with just a little bite. Strain, if necessary. Disclosure: I was given a copy of “Love Your Leftovers” for review purposes only. All opinions are my own. This post also contains affiliate links. I’ve made cookie bars with lentils and they were to die for! Congrats on your new precious baby girl! 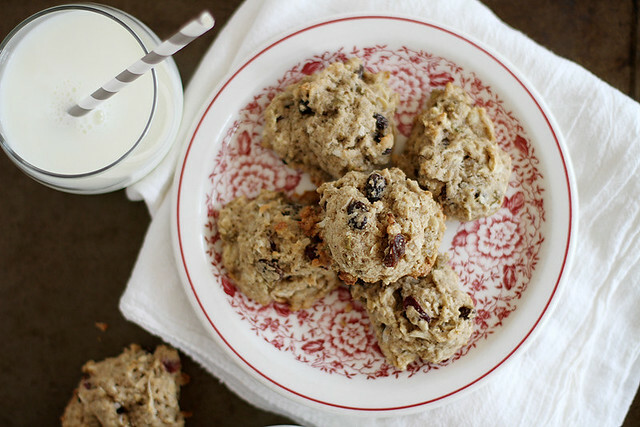 Who thought you could make lentil cookies – so awesome. 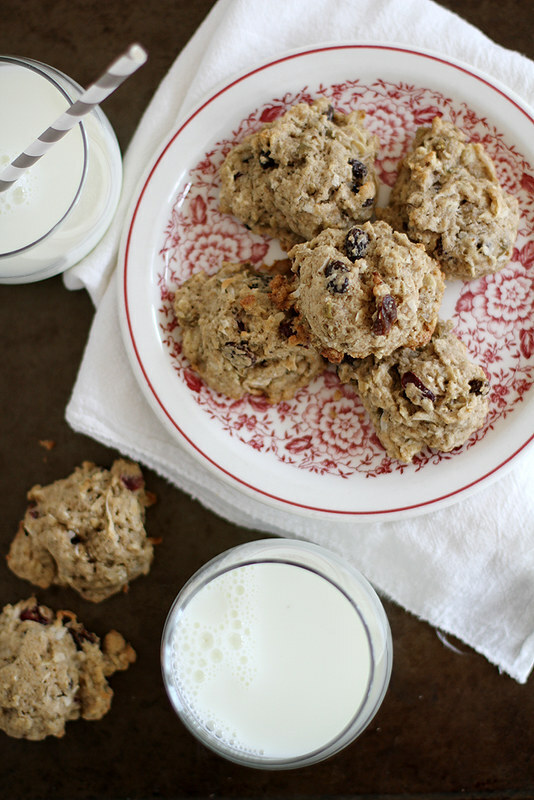 Holy cow do lentil cookies sound incredible!! I hope you are getting use the patterns of your new little girl! I am sure these cookies would fix any problem; they look too tasty! First of all, HUGE congrats on sweet Avery!!! She is absolutely precious. Hope you are having the best time loving on her. Second, lentil cookies?! Need to try these!! Congratulations on your baby and Happy Belated Mother’s Day!!! Yay, huge congrats on Avery! She is positively beautiful! And, wow, lentils in wcooks! What a fun idea….I most definitely have to try this! Incredible! I didn’t know you could make cookies with lentils and I’m so intrigued. I’m a la-la-la-lentil lover, so these treats are perfecto for me! Steph … Avery is simply beautiful. I’m sure you are totally smitten at only 3 days old! And she was here for Mother’s Day!!! Gotta admit – I kinda wrinkled up my nose when I saw Lentil Cookies. (I did once try quinoa cookies. The quinoa wasn’t cooked all the way through, so the cookies weren’t good. They weren’t good at all.) But after reading your description, I’m willing to give it a go! These sound fabulous and healthy! Can’t wait to try them SOON! Totally never baked with lentils before but am going to have to try these cookies- they look amazing! Huge congratulations on your new adorable baby girl!! She’s beautiful : ) And these cookies …. I will definitely be trying these! I HATE wasting food … to the point where I force my husband to eat things so they don’t go bad haha so bad! I am intrigued by this. I must try! I so need to get my hands on that cookbook! I love the idea of big batch cooking and then using it up the entire week. These cookies sounds interesting but I think you’ve convinced me to try them! These Cookies look great! Do you think these would freeze well? Wow what an interesting cookie. Oops should use another adjective. Interesting means, Mmm what to say as to not hurt someone’s feelings. Much better to say—Wow I am going to try this recipe. I bake a lot of cookies! 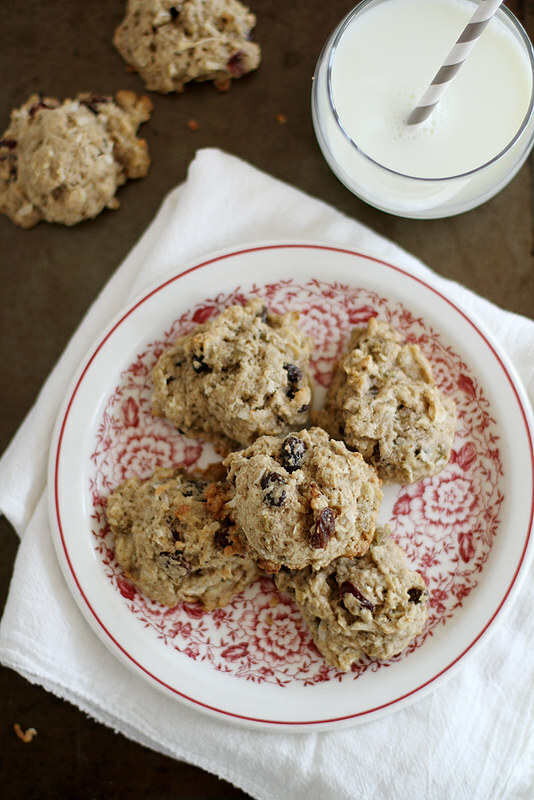 I was going to comment here saying how wonderfully these cookies turned out, when I read the ingredients list and realized I forgot a whole CUP of ingredients – the rolled oats! So, if someone is wondering whether they can make these without oats (perhaps out of necessity rather than absent-mindedness), you totally can. Mine, without oats, took just fourteen minutes and taste great. Honestly, they would probably do super well as a regular chocolate chip cookie, or whatever-mix-in-you-have-in-the-pantry cookie — maybe I’ll switch to the lentil side permanently.